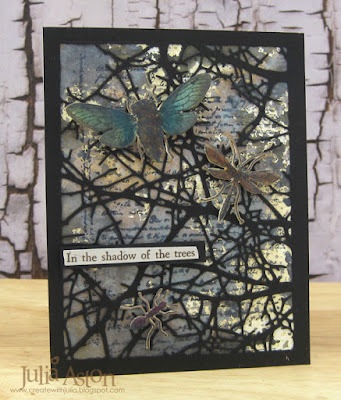 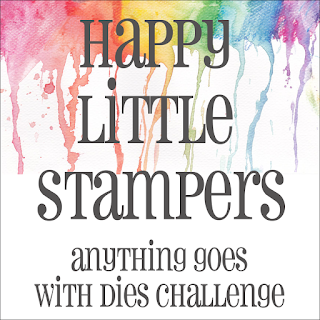 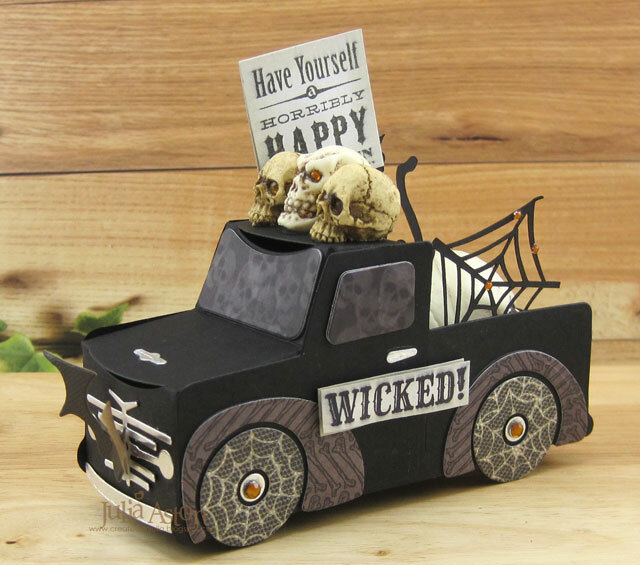 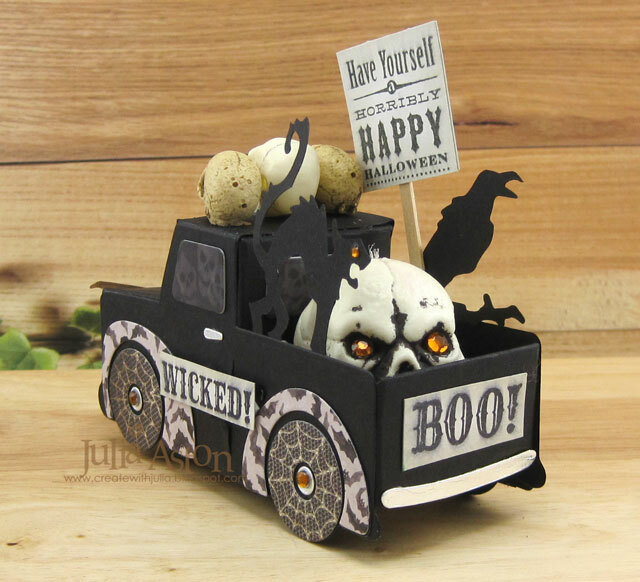 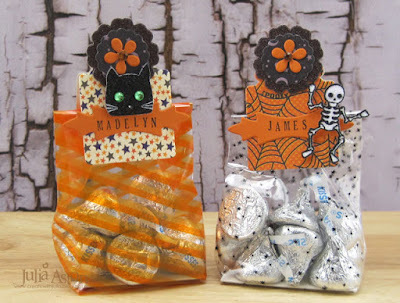 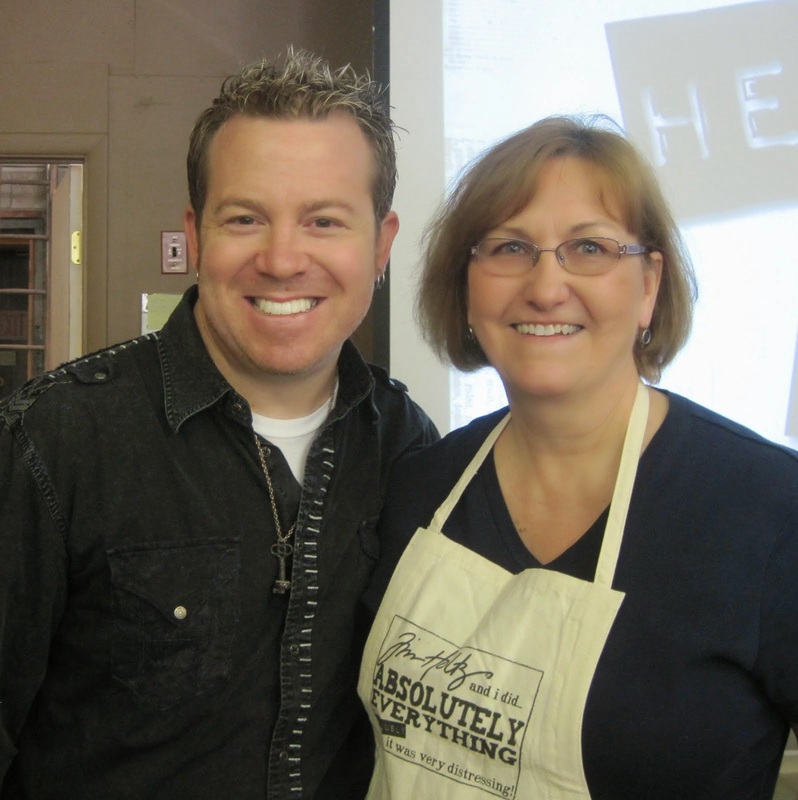 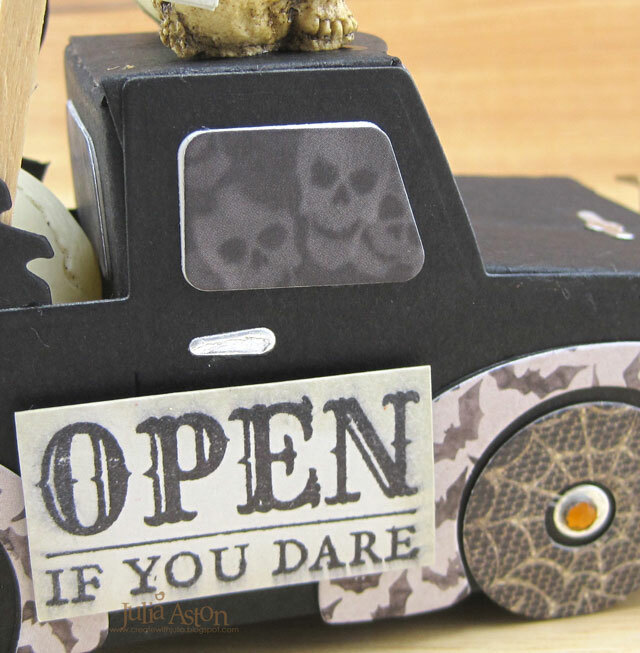 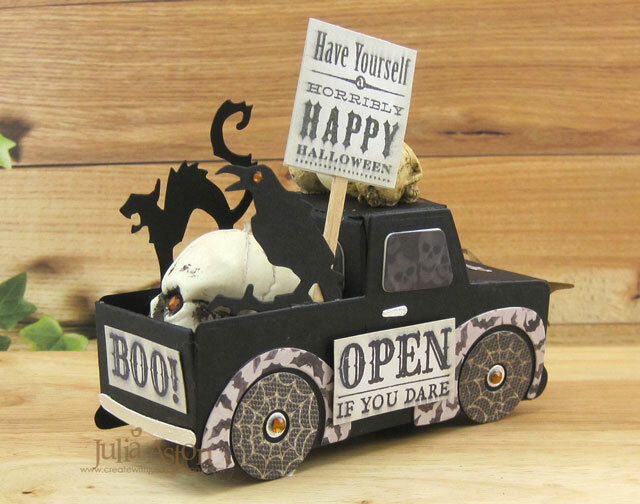 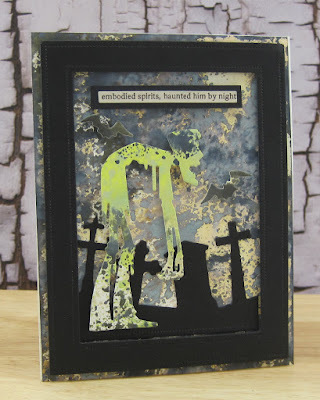 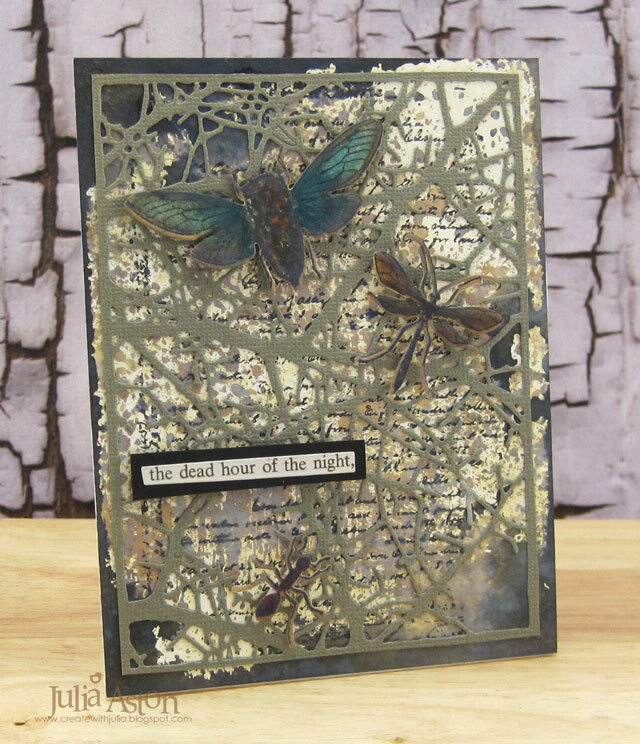 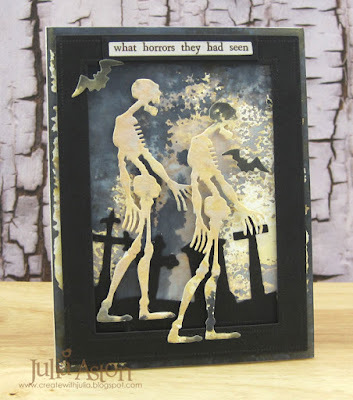 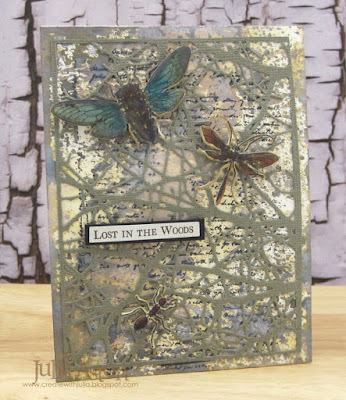 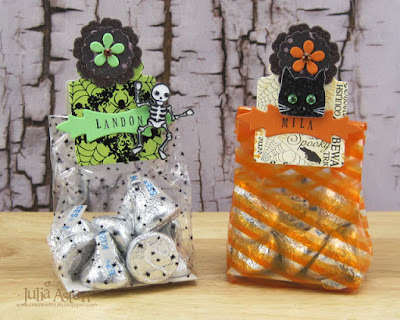 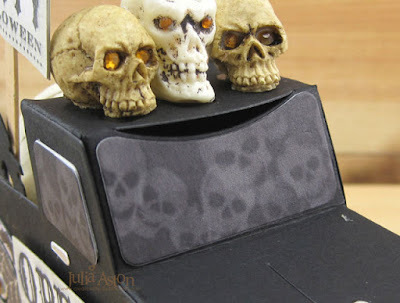 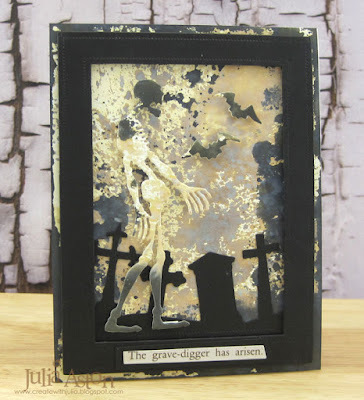 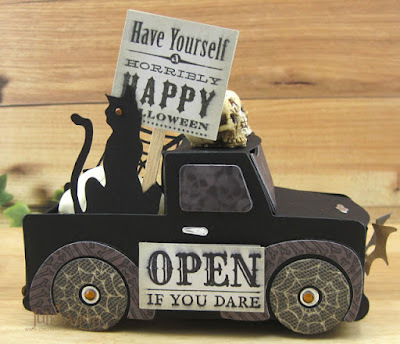 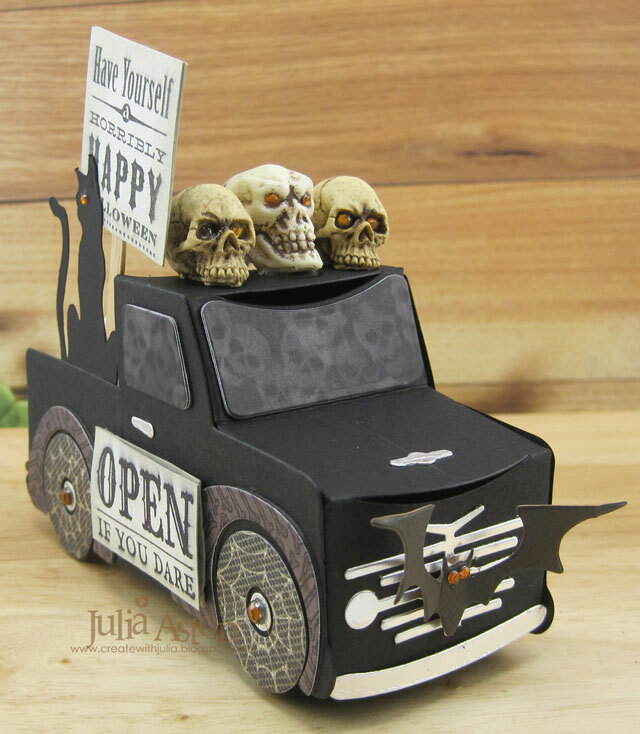 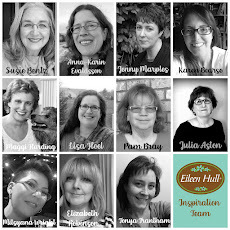 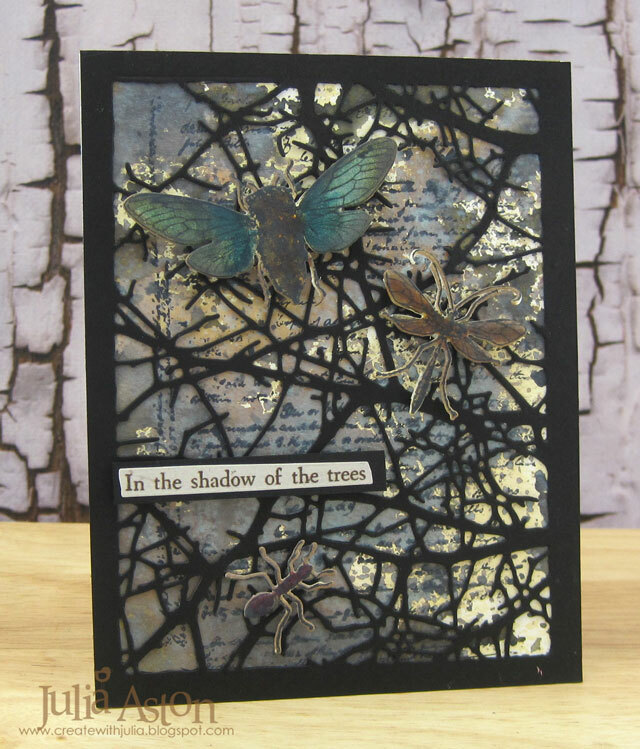 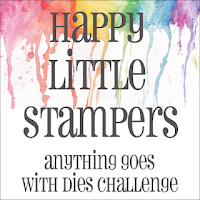 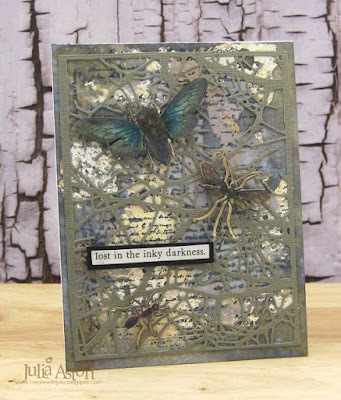 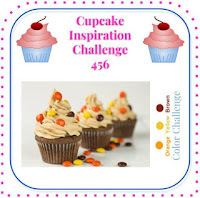 This month Eileen Hull's Inspiration Team is sharing new and old creations for Halloween/Fall using Eileen's dies! 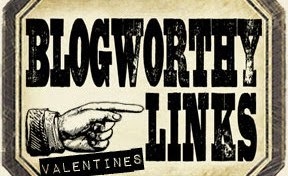 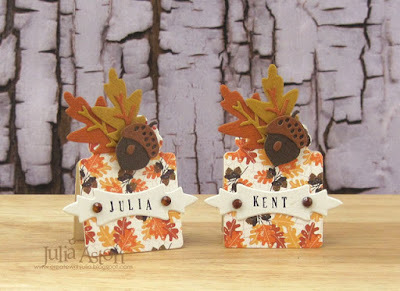 Today I have two from the past, and rather than repeat my tutorials, I'm just posting photos with links to my prior posts! 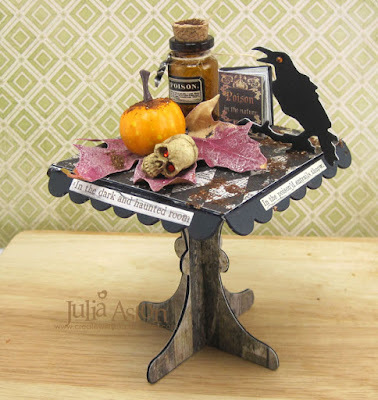 I die cut her Cup Cake Stand and turned it into a spooky apothecary table from a witches laboratory for Halloween! 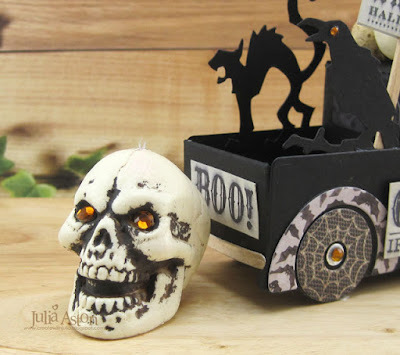 I presently have this cute decoration on a side table in my living room! 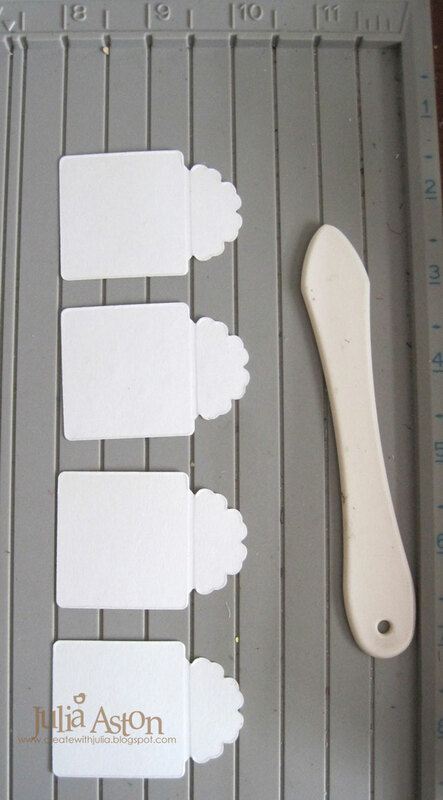 It measures 3 1/2"h x 3 1/2" w. I posted this first almost exactly 1 year ago! 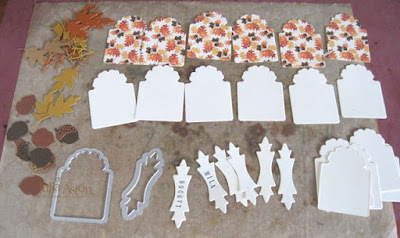 See supplies listed below. 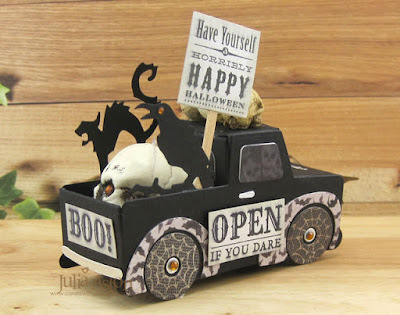 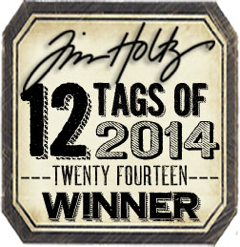 You will find all the details here. 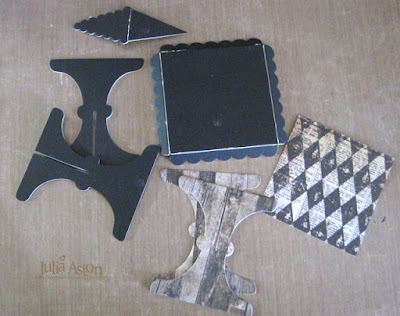 Here are all the pieces cut from the die. 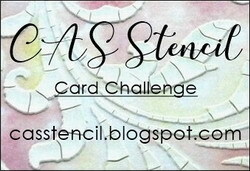 I didn't end up using the banner piece. I made my second project in August of 2016 using Eileen's then newly released Twist & Style Tool to create the twisted wire to hold my flying bat and dangling skeleton hand on my potions bottle! Here's the Twist & Style Tool - with the wire wrapped around it just before twisting! 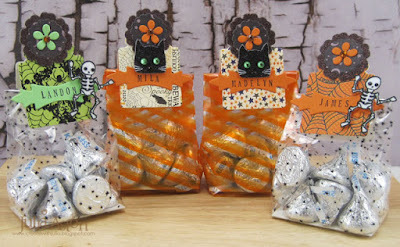 I made 3 pieces with 3 different charms on the ends. 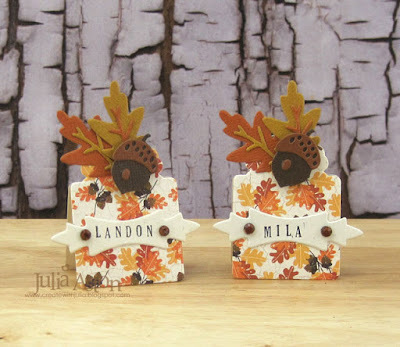 You'll find more photos and details for this project on my post here. Supplies are listed below. 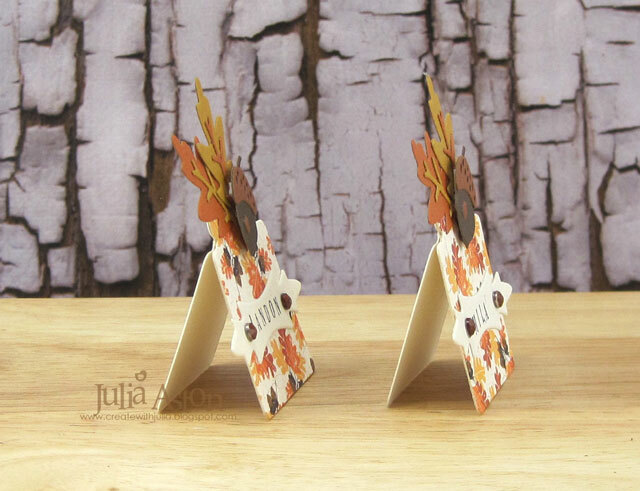 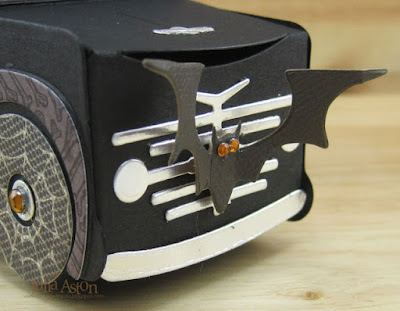 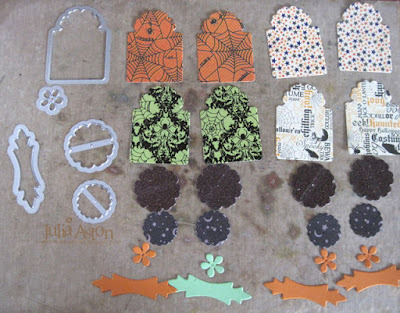 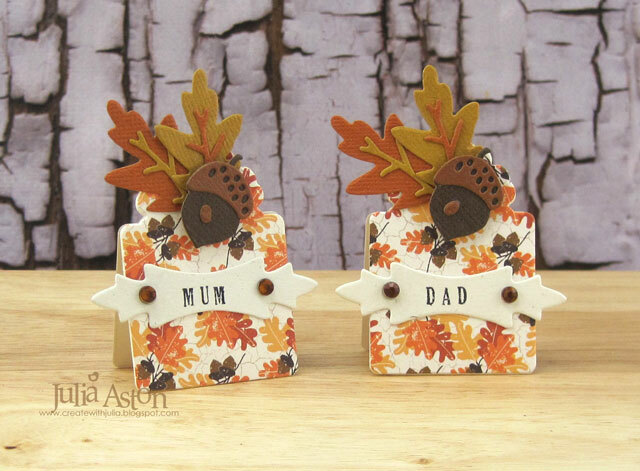 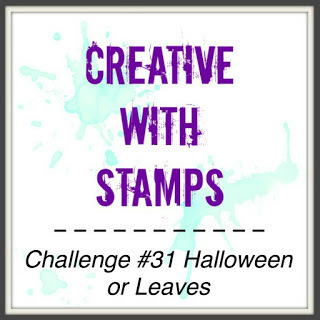 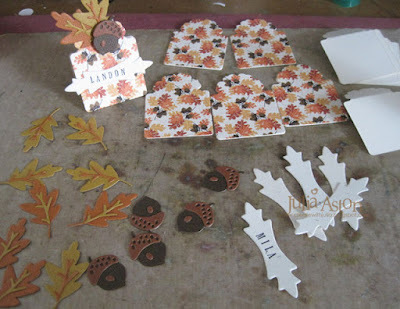 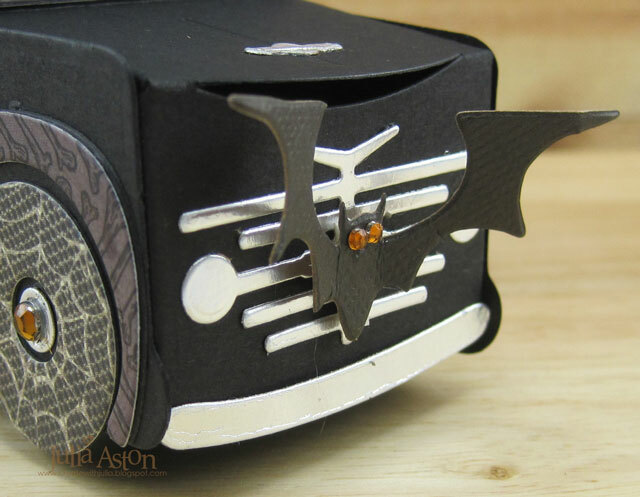 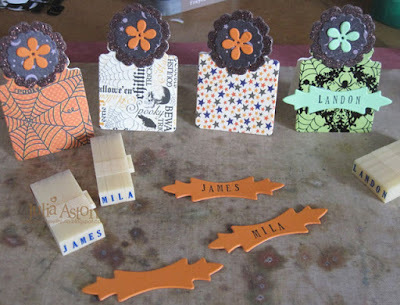 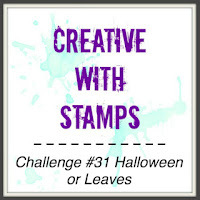 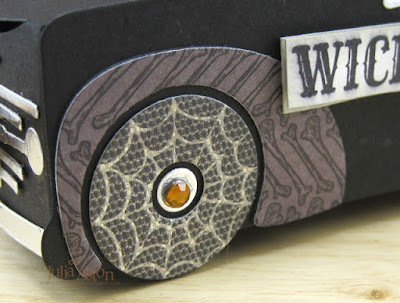 So please check out Eileen's blog all this month for some wonderful Halloween/Fall Inspiration using her Sizzx dies! 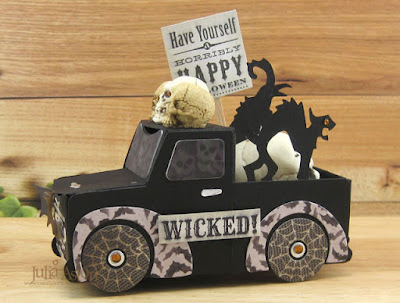 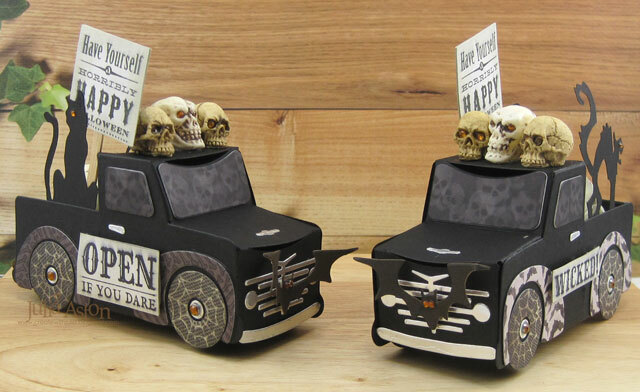 Paper: Little Sizzles Black Matboard - Sizzix, Paper Stash Materialize/Tim Holtz Ink: Versamark Accessories: Eileen Hull Cup Cake Stand and Pennant Die - Sizzix, Mini Cat and Raven Movers and Shapers Die - Tim Holtz/Alterations, Ideaology Skulls, Clipping Stickers/Halloween, Apothecary Vials, Adornments Halloween (Spider), Pumpkin Pieces, Miniature Poison in the Nature Book - Ever After Miniatures Etsy Shop, real leaf, Tan and Cranberry Embossing Powders - Adirondack, twine, Tiny Twinkles - Taylored Expressions, Tarnished Brass Distress Glitter - Ranger, black Sharpie marker, Black Stabilo Pencil. 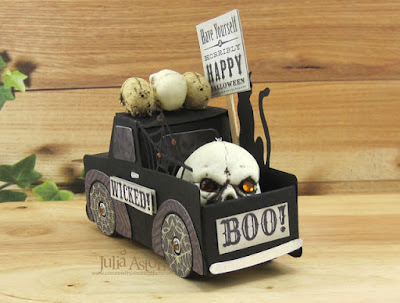 Accessories: corked jar - The Christmas Tree Shops, Haunted Rub Ons - Cosmo Cricket, foam bats - Michaels, Twist and Style Tool - Eileen Hull/Sizzix, 22 gauge floral wire - Joanns, skeleton hand charm - Funkie Junkie Boutique, Idea-ology Adornments/Cross Bones, Adirondack Alcohol Ink - Latte, Frantage Aged Gold Embossing Powder - Stampendous, water and red food coloring.